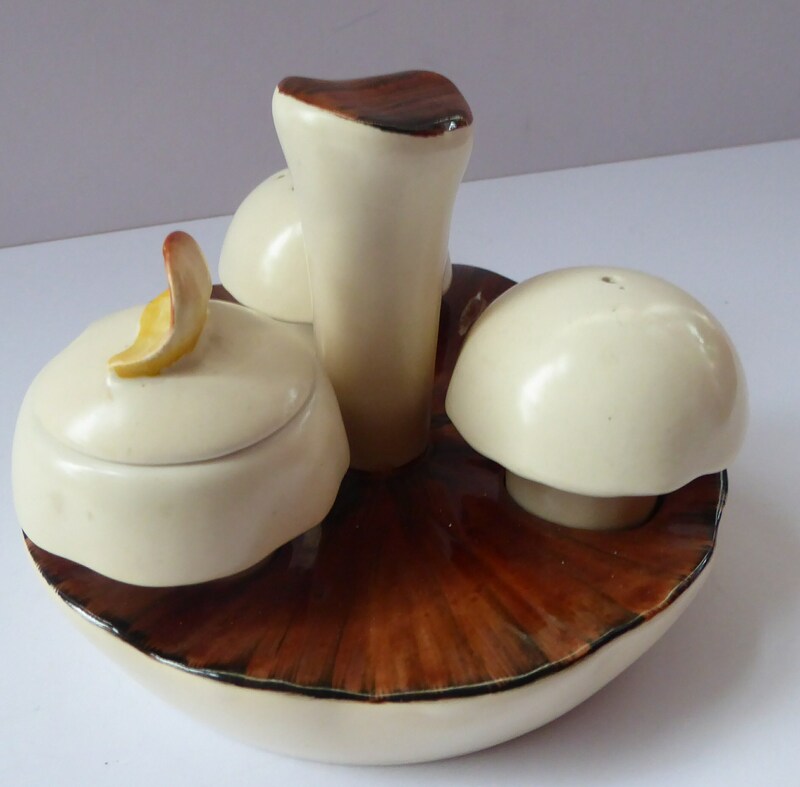 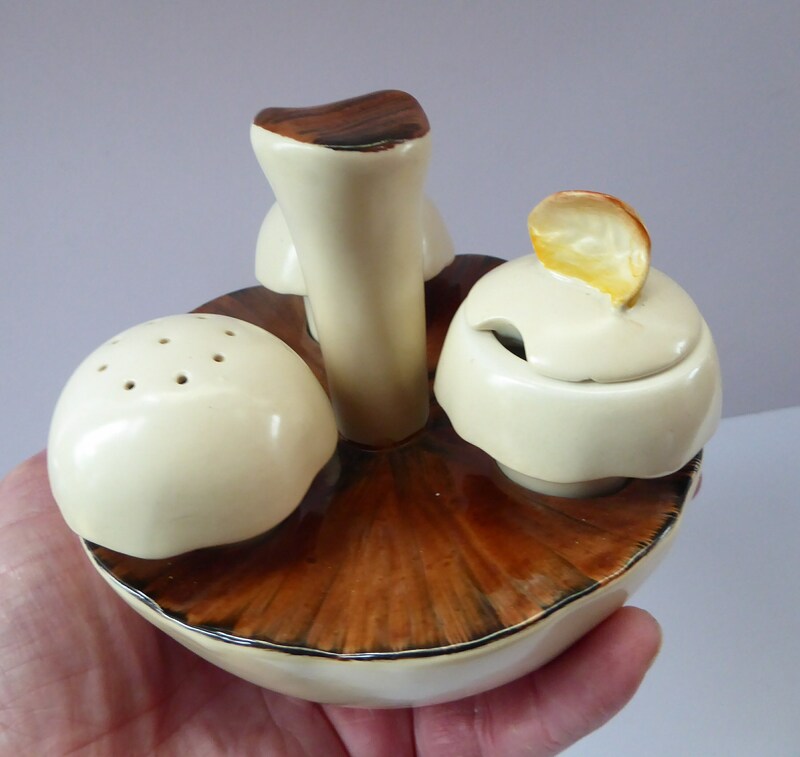 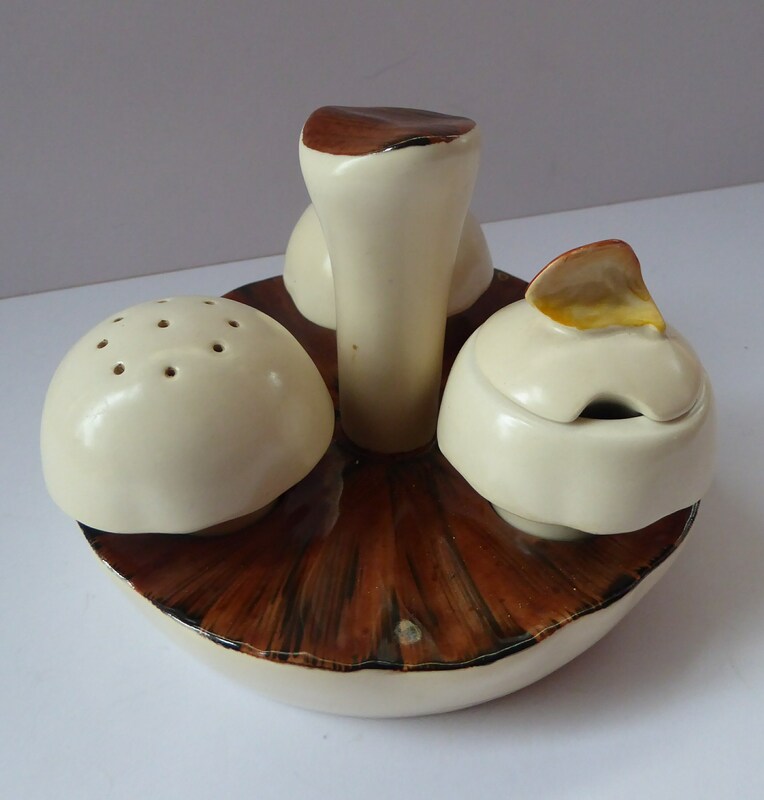 This is a lovely vintage cruet set by Carlton Ware. 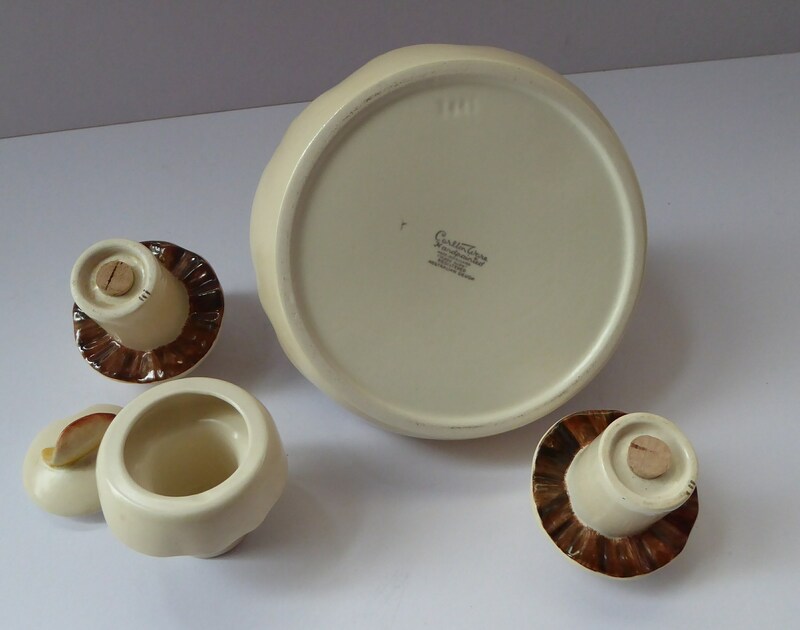 It dates to the 1960s. 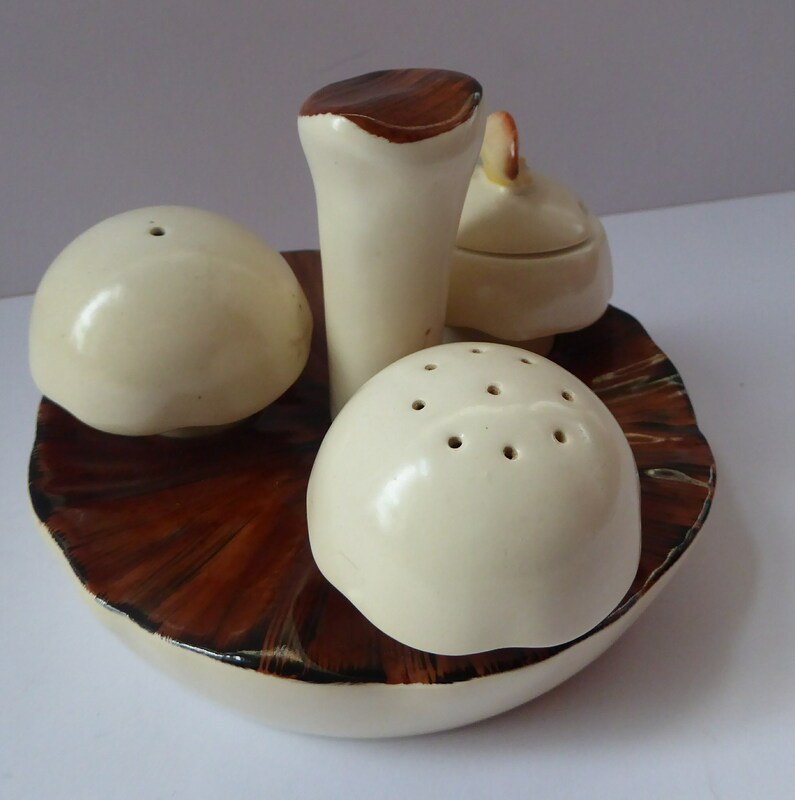 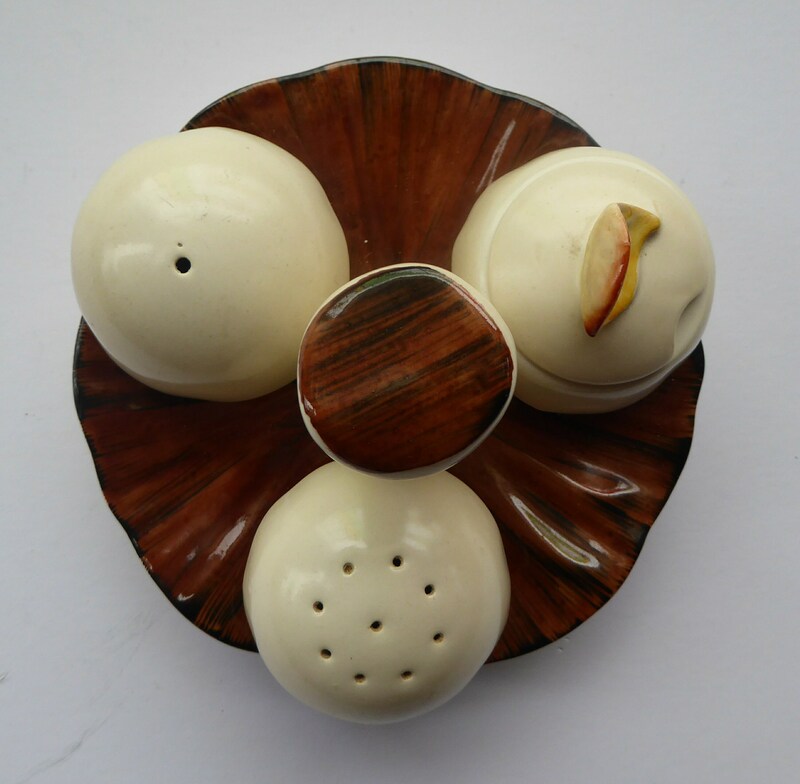 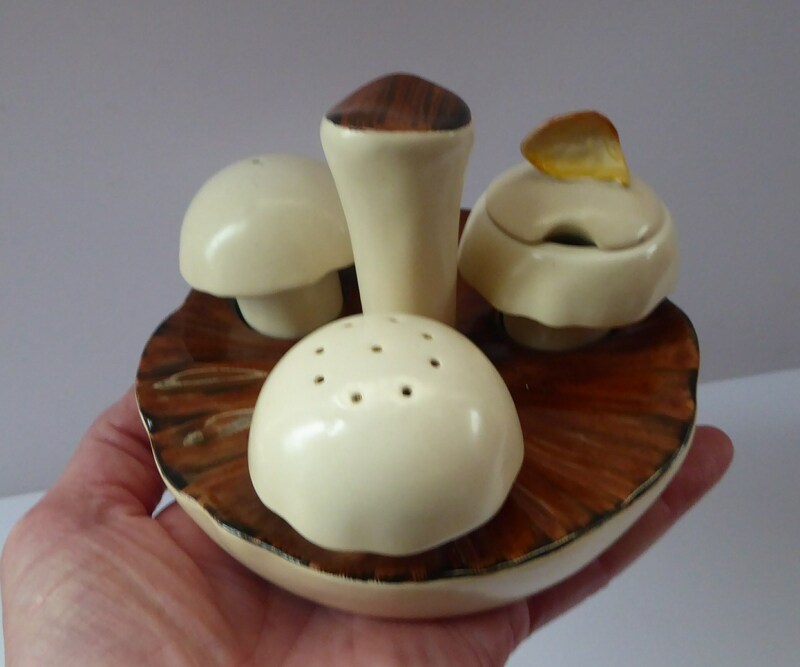 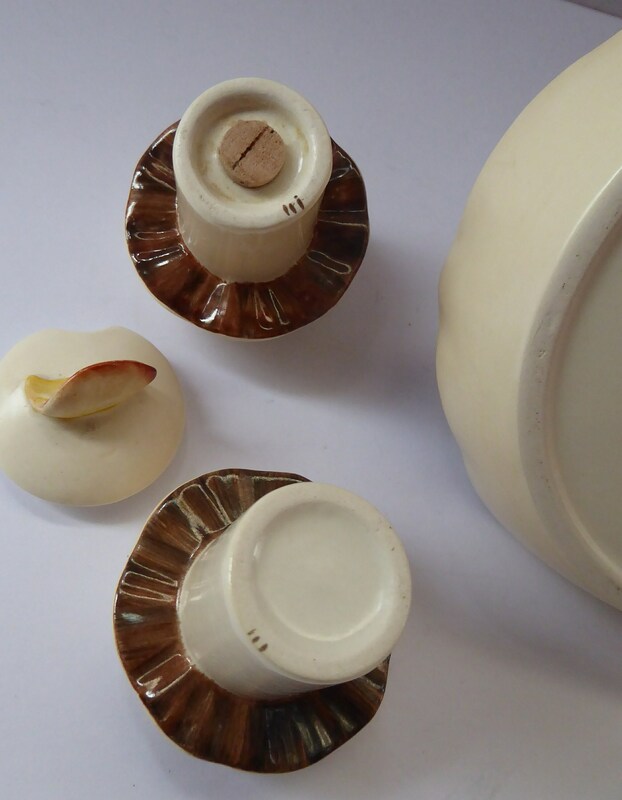 The set consists of a base representing a large upturned field mushroom - in the base are three apertures - for a salt and pepper pot or shaker - in the form of button mushrooms - and there is also a lidded mushroom pot. 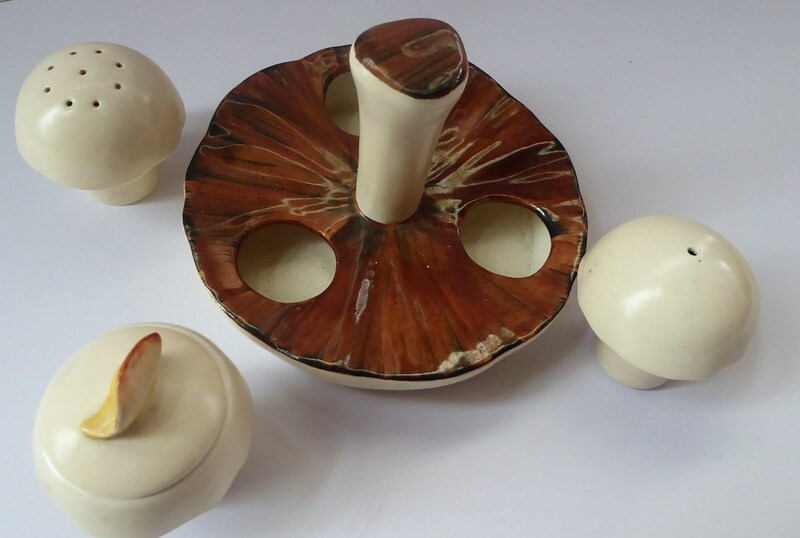 All are in good condition with no damages. 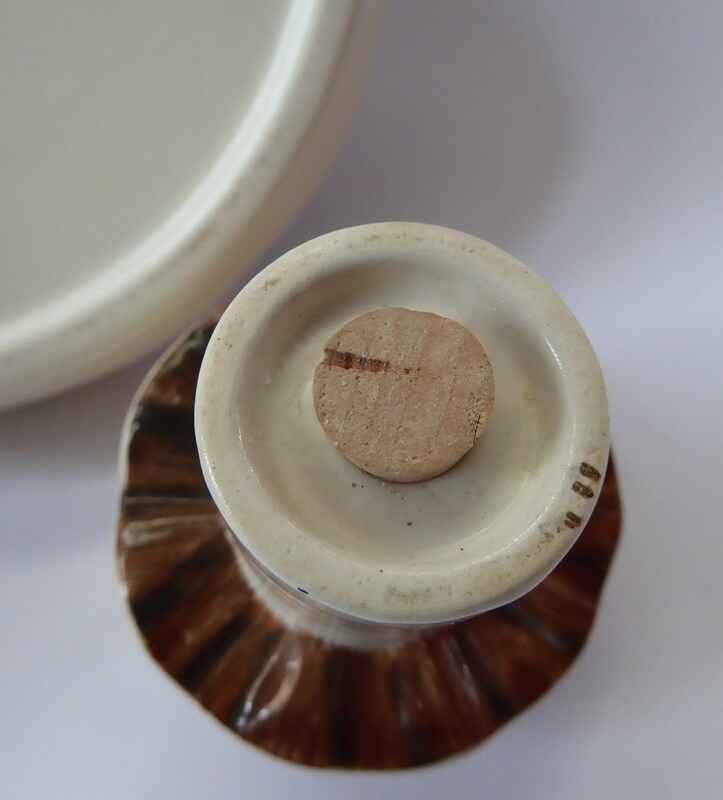 The diameter of the base is about 13 cm - and the height of the set at the highest point is about 10 cm.